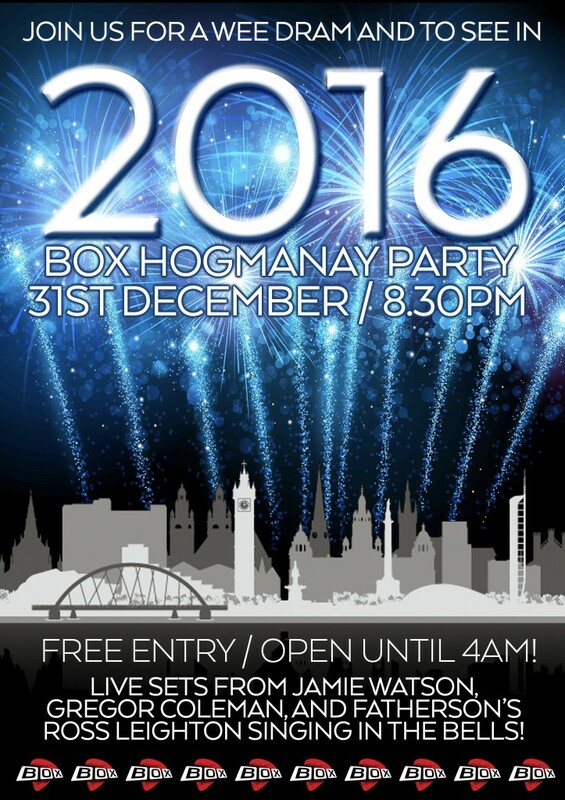 Still looking for somewhere to spend Hogmanay? Why not join us at BOX! Great company, Great entertainment, No tickets, Free Entry, and No inflated drink prices! We will also be open until 4am in the morning. Entertainment come from live acoustic sets from Gregor Coleman (Akrobat), Jamie Watson (The Big Papas), and Ross Leighton from Fatherson will be returning for his annual singing in the bells! There will even be a free glass of champagne for everyone at the bells!